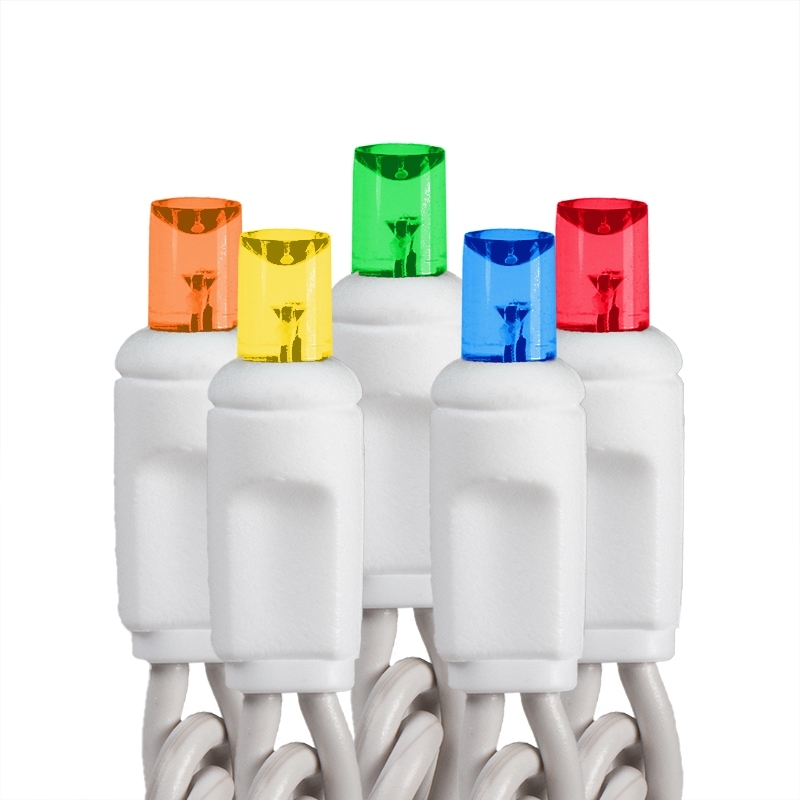 These multicolor mini LED Christmas light strands have 50 wide-angle bulbs. Their concave shape allows them to emit an intense omnidirectional beam of light. Connect up to 40 strands together. 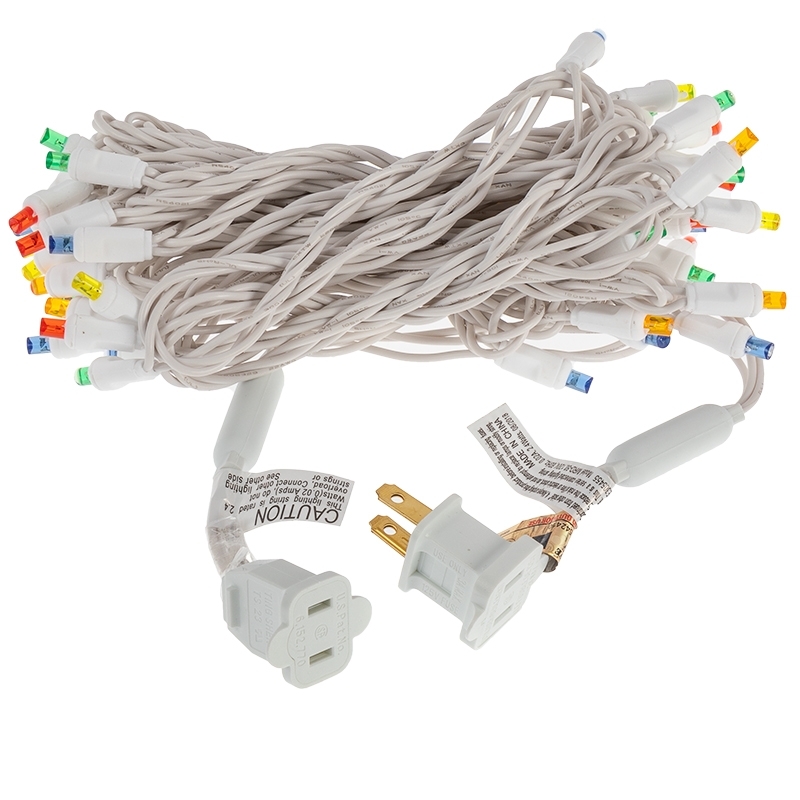 The 25' strands (24' lighted length) have 6" bulb spacing, white wire, and are individually fused to prevent multiple blown strands in the event of a power overload. Individual bulb failure will not cause others to fail. These LED string lights consume 90% less energy than traditional incandescent strands and last 25 times longer. 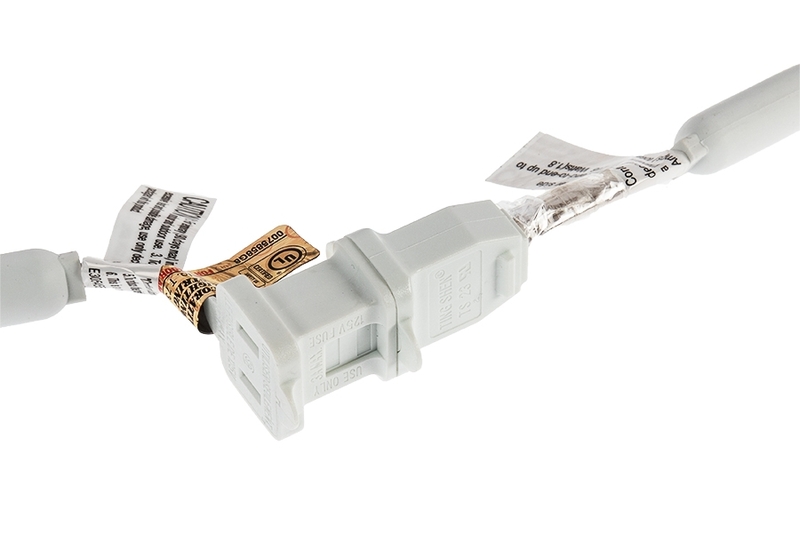 Each shatterproof bulb is made into the strand (not removable), which eliminates the chance of corrosion. Use these string lights indoors or out to decorate your house, Christmas trees, or wreaths.